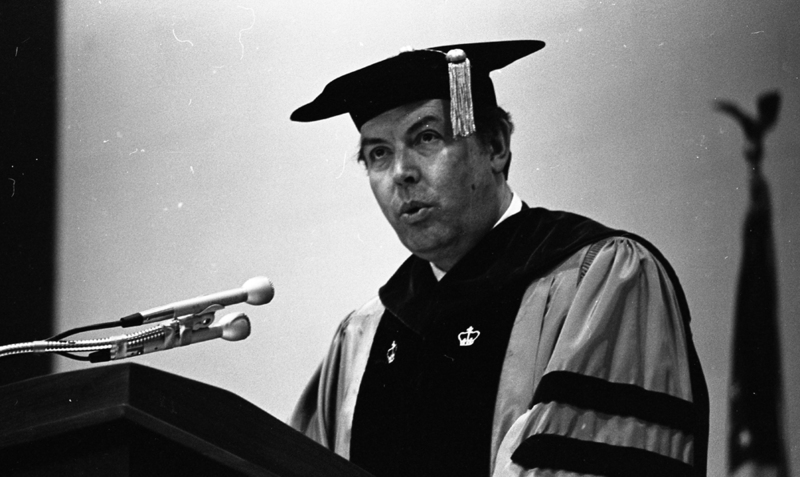 Photograph of George Mason University president, George W. Johnson captured during his inaugural speech, April 7, 1979. The event took place in the gymnasium of the Physical Education Building (later renamed the Recreation and Athletics Complex or RAC). Citation: George Mason University, “George W. Johnson at Inauguration, April 7, 1979,” A History of George Mason University, accessed April 19, 2019, http://ahistoryofmason.gmu.edu/items/show/324.